What time? - International man playing an active part in the world! 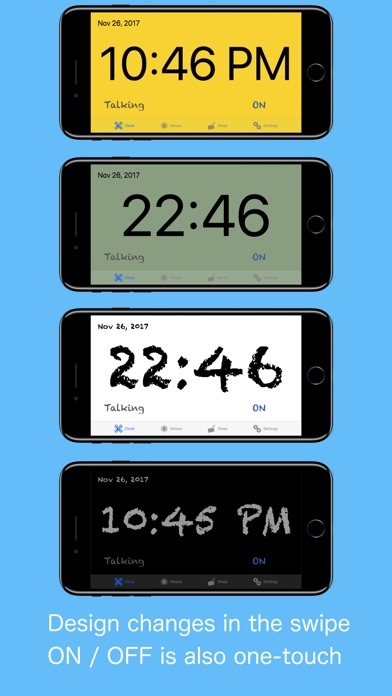 Even if put it in a pocket to lock your iPhone, This app inform the time. 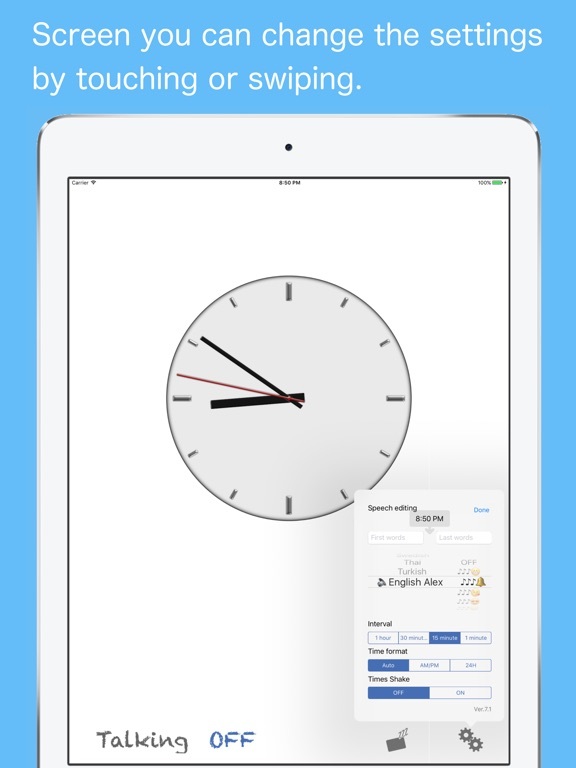 By Starting the application, can be edited freely the words before and after the time if the desk clock. For example, "now" 8:00 "Let's go" It is possible. When enabling sound effect, please select other than "banner is Persistent" in notification setting so that voice notification will not be interrupted. · (Analog / digital, background color, font) setting can be switched by swiping left, right, up, and down. 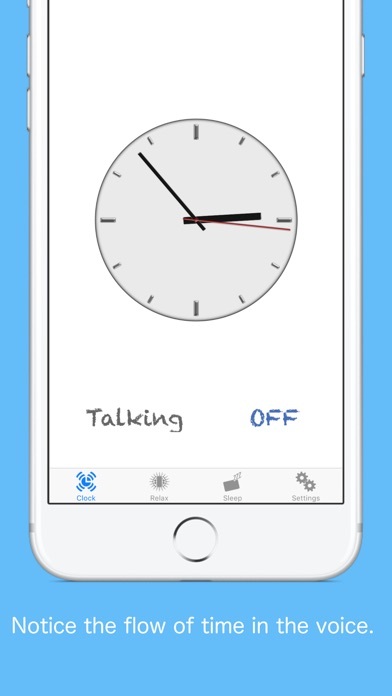 · Receive a notification via voice the time you tap the "Talking". · We will inform you by voice time and shake. 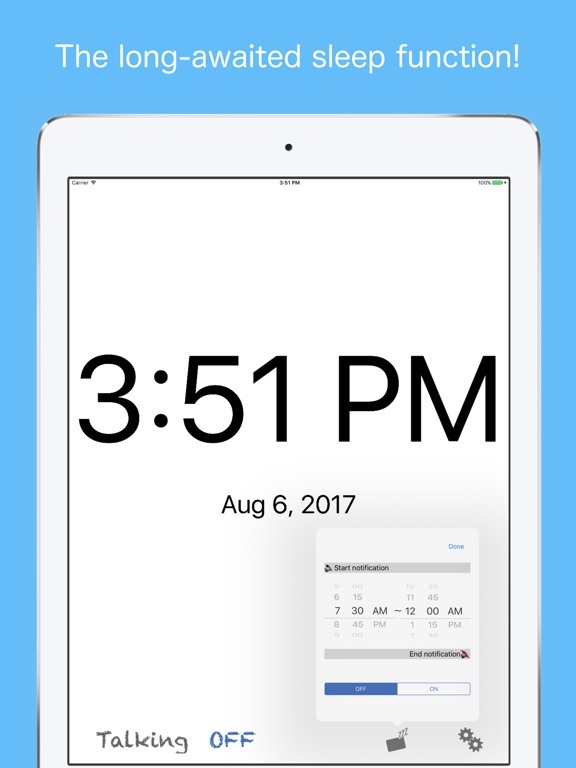 · You can switch by tapping the "ON" or "OFF" the time signal notification. 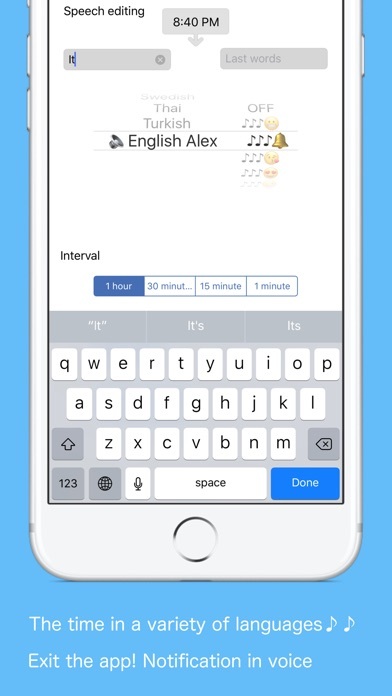 · You can edit the words before and after the time of the sandwich voice notification. · You can select the language of the device other than setting. 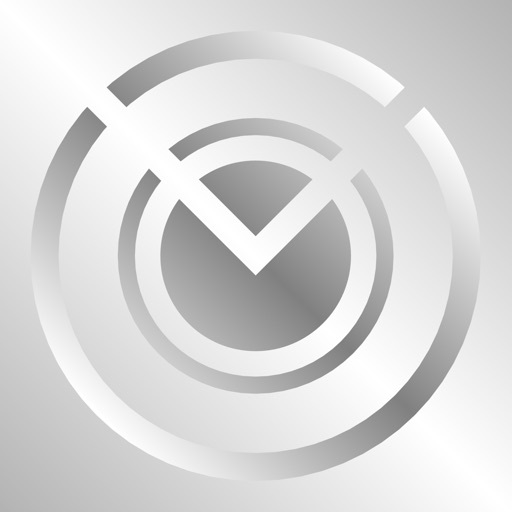 · It is possible to select 10 types of sound effects and sound OFF. 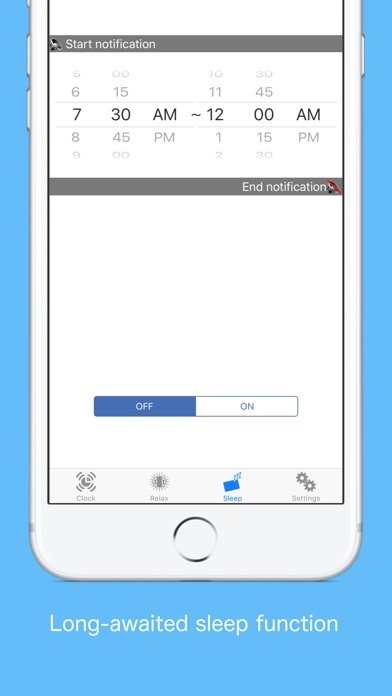 · You can change "Notification interval", "Time format", "Notification with shake". 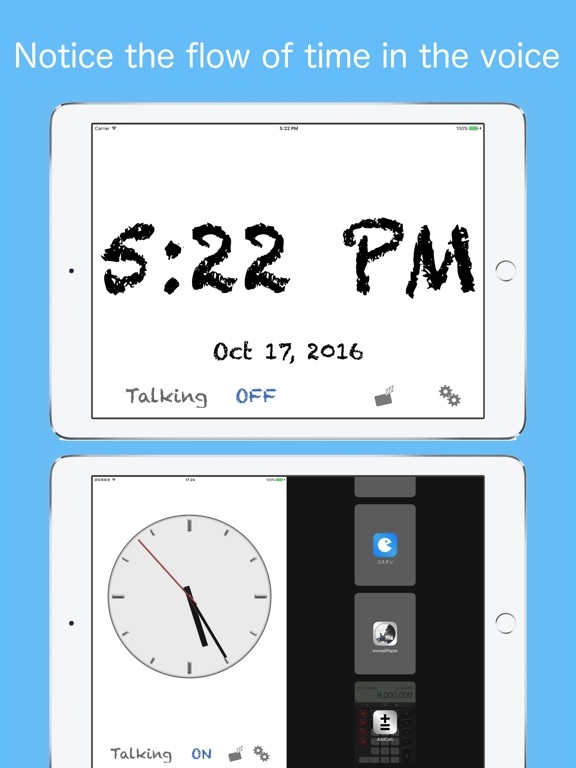 · You can set the time zone to stop the voice notification. · How is the Use simple massage function using the vibration of the iPhone, you can try to heal mind while listening in your favorite music. We rebuilt in the latest development environment.